Want to be among the first to ride BC's newest downhill mountain bike network?? Come join us to celebrate the official grand opening of Kimberley's newest trail network at Bootleg Mountain. Bootleg has mostly advanced (black) trails but also some really fun green and blue downhill trails too! In addition, Kimberley has 165+ km more of xc and downhill trails. 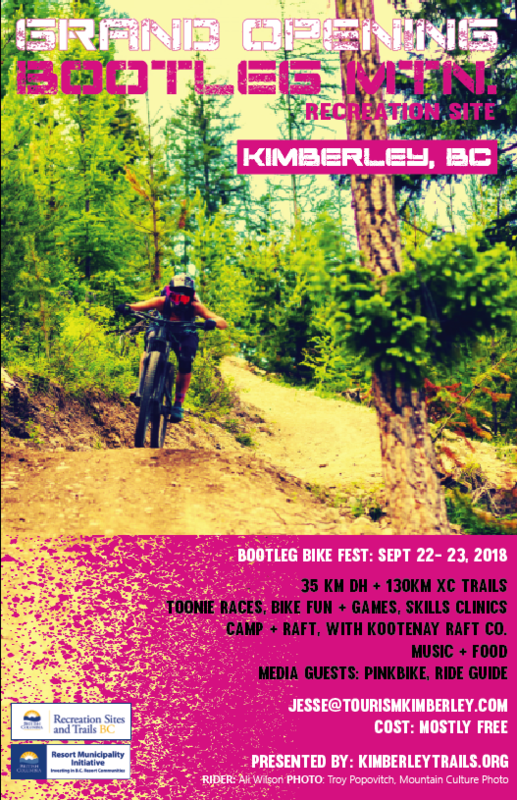 Come on out and enjoy some toonie enduro races, clinics, fun races, food trucks, music and more! Interested in joining one of the clinics or races at the Bootleg Bike Fest? Come sign up for one at the bike fest underneath the 100% tent.